Studying Spanish language and Latin American cultures at Massey University has opened up a whole new world for Jason Paulin. He is one of three high-achieving Spanish language students awarded a prize by Argentine ambassador Fernando Escalona at the Wellington Embassy last week. 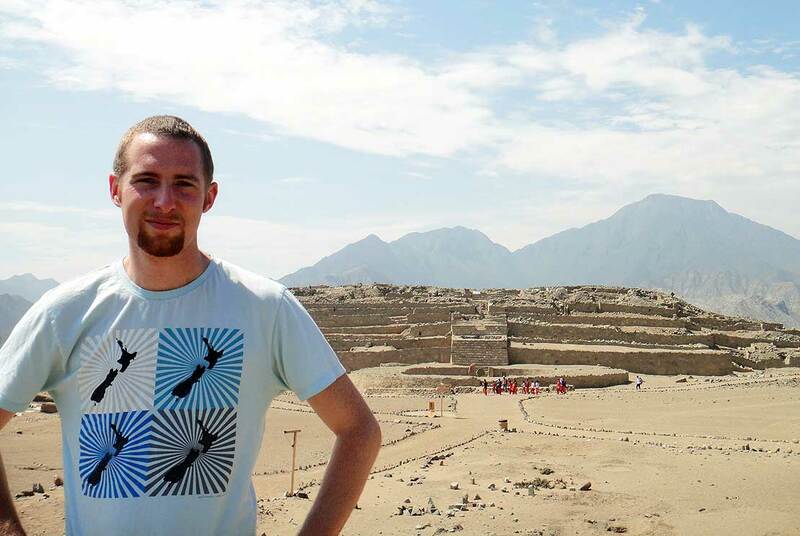 Bachelor of Arts student Mr Paulin spent seven years in Peru, where he taught English. He now runs his own online translation service in New Zealand, and says learning to speak Spanish has been life changing. He began learning Spanish at St Patrick’s College in Silverstream, and had the chance to travel to Peru on a school trip. He returned again to travel, work and hone his Spanish, and while there he met and married a Peruvian woman. He’s been studying Spanish and linguistics by distance from Wellington as part of his plan to work towards gaining formal qualifications as a translator. Mr Paulin says he appreciates how the Massey Spanish language programme encompasses the many other facets of language learning, such as songs, literature, culture, history and the diverse accents and expressions of Spanish-speaking nations. Spanish language lecturer Dr Celina Bortolotto, who attended the prize giving along with programme co-ordinator Dr Leonel Alvarado, says the students were given editions of books by major Argentine authors Jorge Luis Borges and Julio Cortázar. Mr Paulin won the 300-level prize and Catherine Witheford won the 100-level prize, while 200-level winner Elizabeth Warren was unable to attend. “The Ambassador and the Consul, Romina Bocache, congratulated both students on their command of Spanish and their interest in the language and culture. 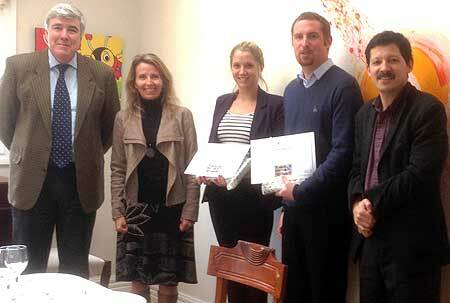 They also discussed further opportunities for exchanges/work with our students,” Dr Bortolotto says. Prizes have been awarded by the embassy to Massey University undergraduate students of Spanish language at each level every year since 2012. The Spanish Language programme is available internally at the Manawatū and Albany campuses, as well as by distance, and has been specially designed by Dr Alvarado and his team for Australasian learners.